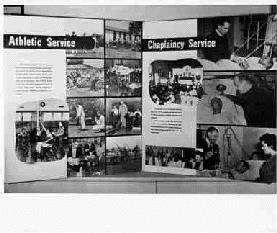 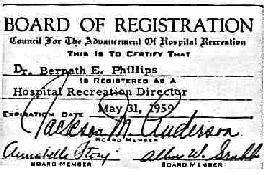 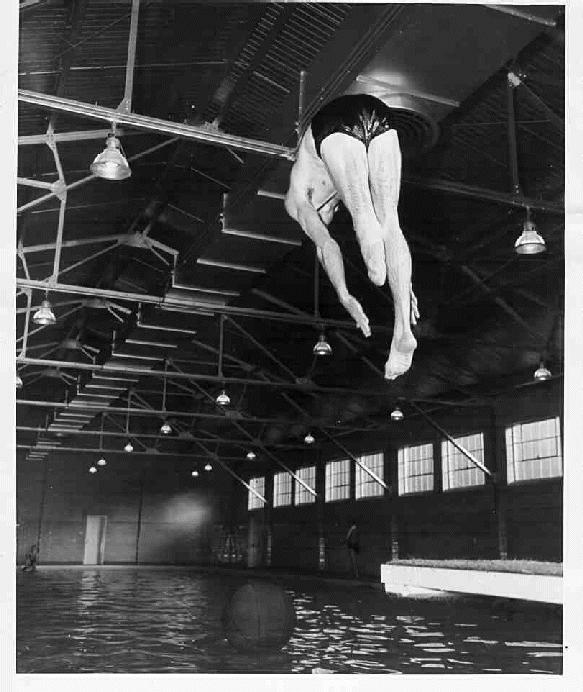 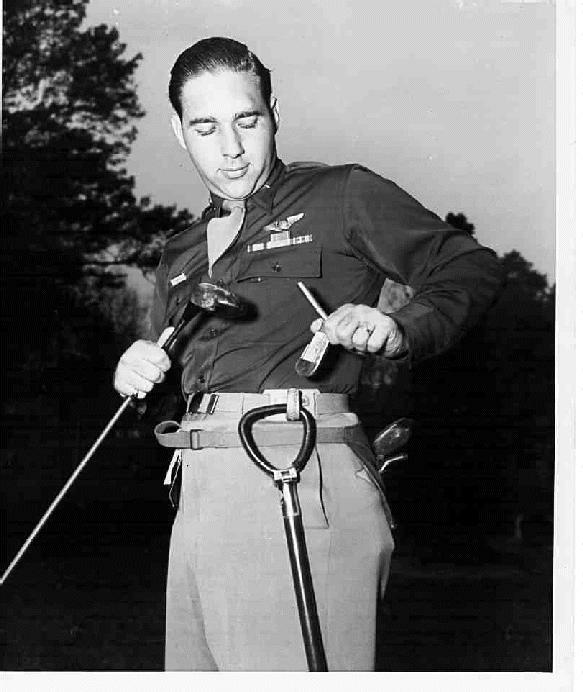 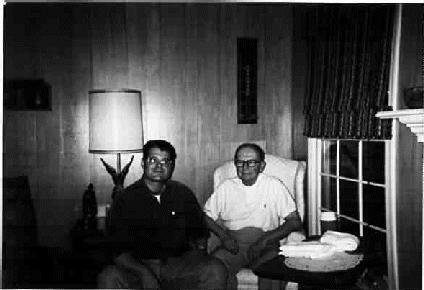 The following pictures are from the files of Dr. Bernath Eugene Phillips. 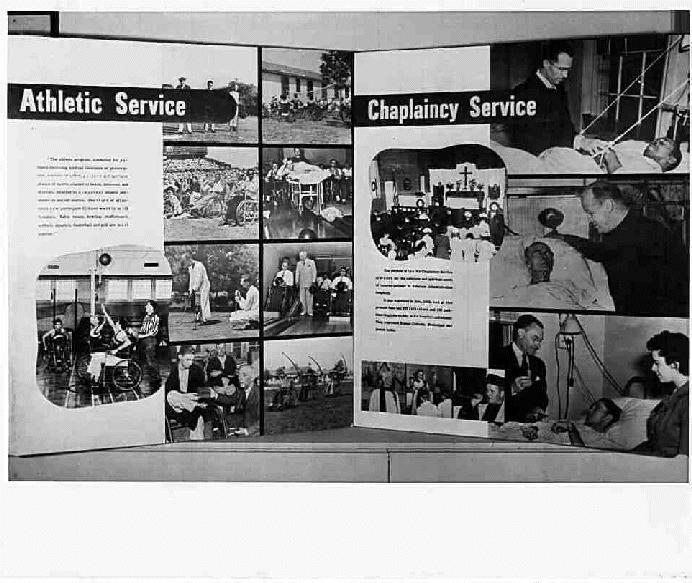 Click thumbnail image to view it larger. 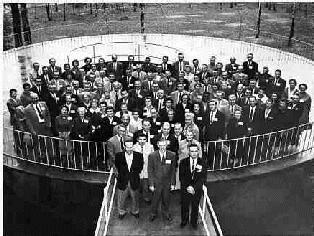 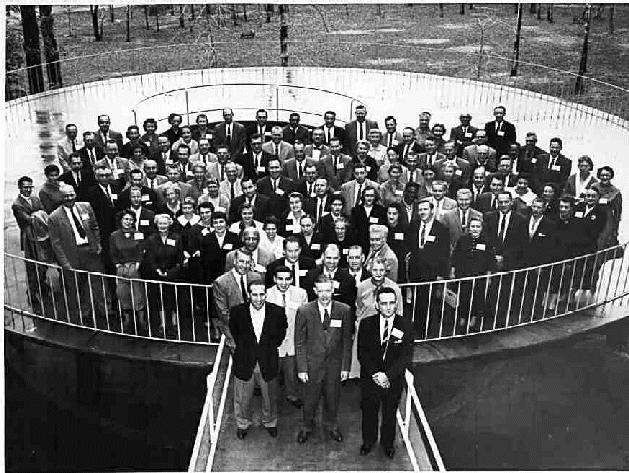 100% 50% Recreation for the Mentally Ill Conference Photo taken in front of the Hotel Woodner on 19 Nov. 1957. 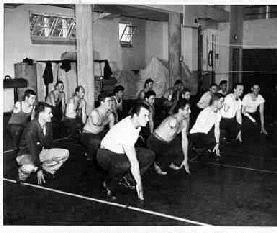 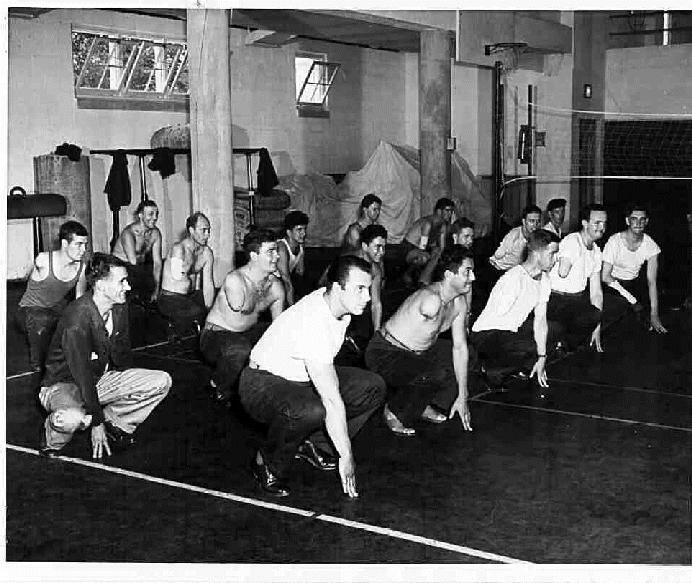 100% 40% 1945-the ward 30 one armed softball team do group exercises (the squat and up)in the new post gymnasium. 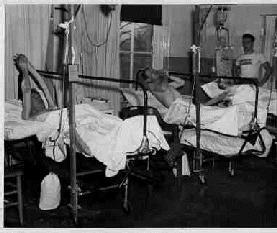 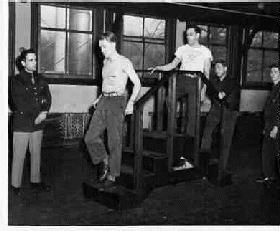 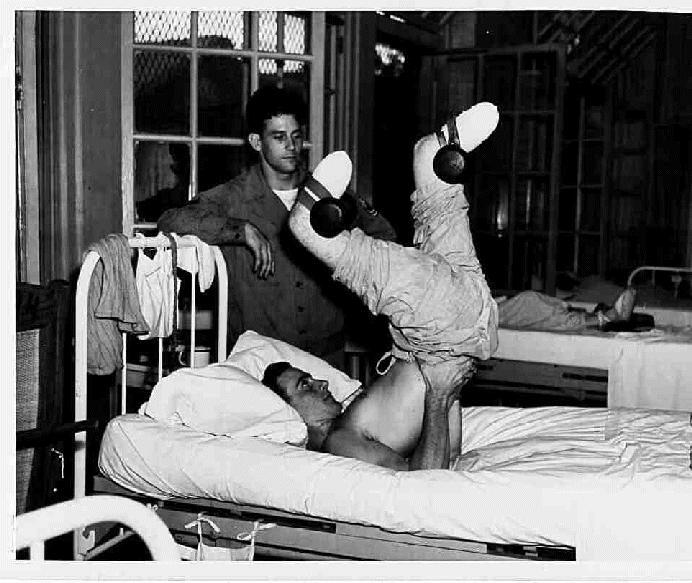 100% 40% Three men exercising while in stryker frames with "physical reconditioning" personnel standing by. 100% 40% 20 Mar. 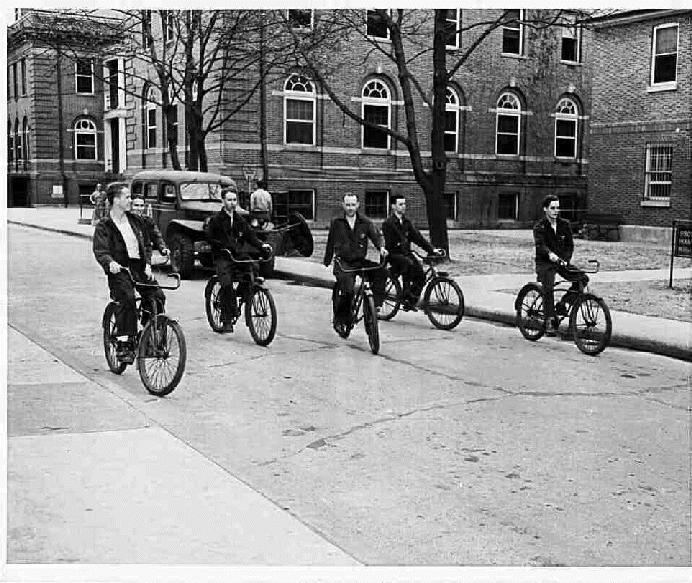 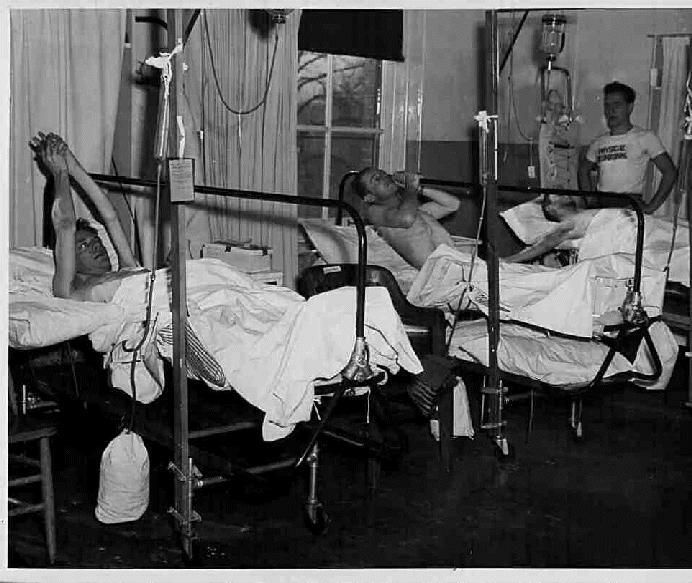 1945 Six gentlemen on bicycles at the Army Medical School in Wash., D.C.
100% 40% Aug 1944 "Leavitt" a bi-lateral, below knee, leg amputee does the "inverted bicycle" with weight assistance. 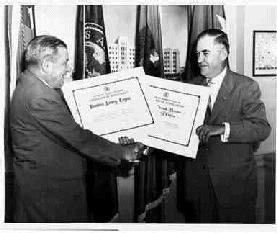 100% 40% Carl R. Gray Jr. VA Administrator(on the left) is giving the Bowlers Victory Legion Director A.L. 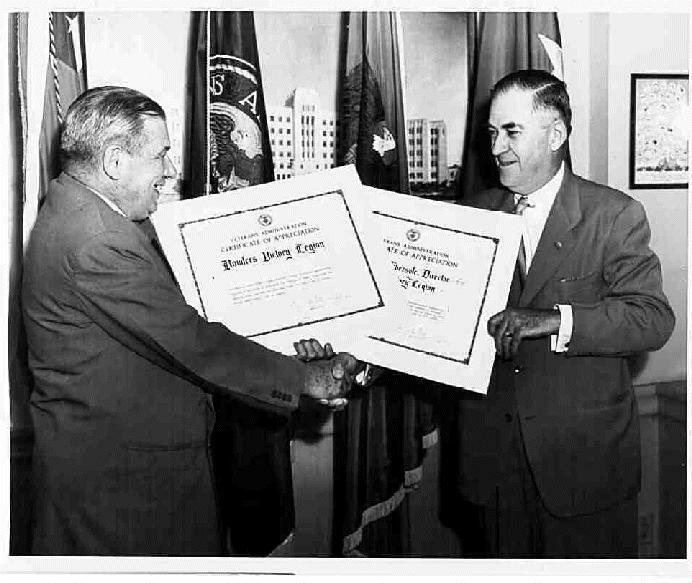 Ebersole (on th right) a VA Certificate of Appreciation on 14 July 1952. 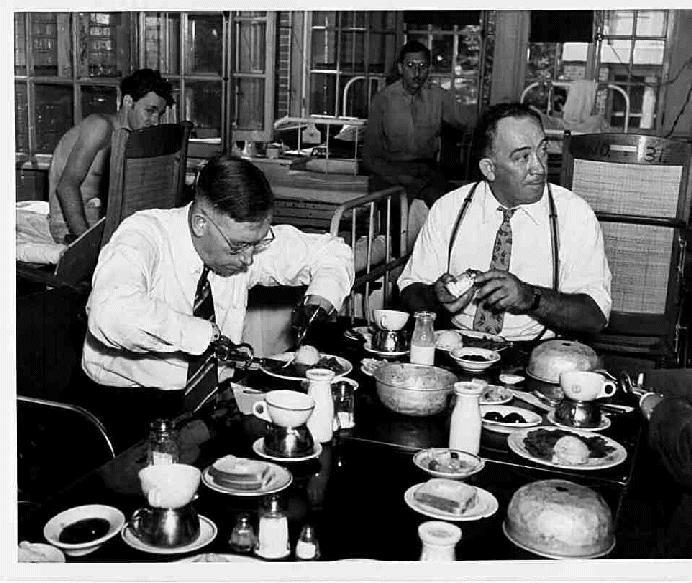 100% 40% 15 Aug. 1944, eating with the use of prosthetics. 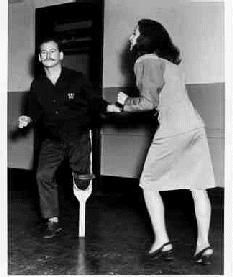 100% 40% Bernie invents the first stairmaster. 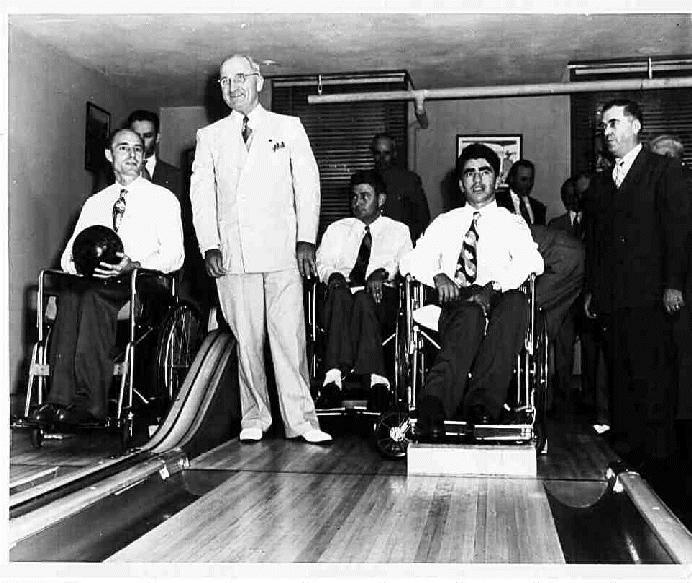 Truman1 Pictures of President Harry S. Truman with BVL winners at the Whitehouse bowling lanes. 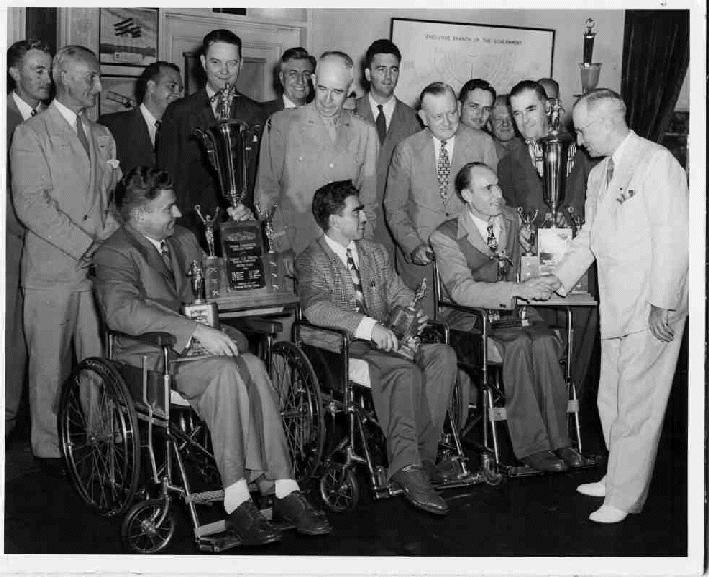 Truman2 Pictures of President Harry S. Truman with BVL winners at the Whitehouse bowling lanes. 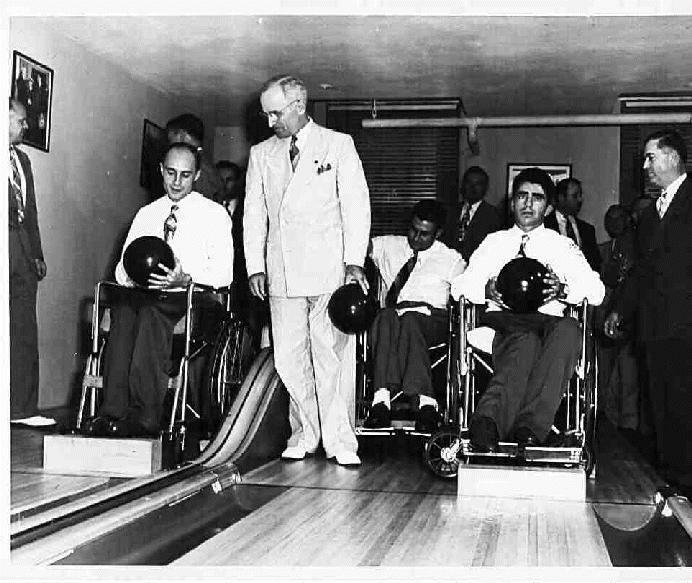 Truman3 Pictures of President Harry S. Truman with BVL winners at the Whitehouse bowling lanes. 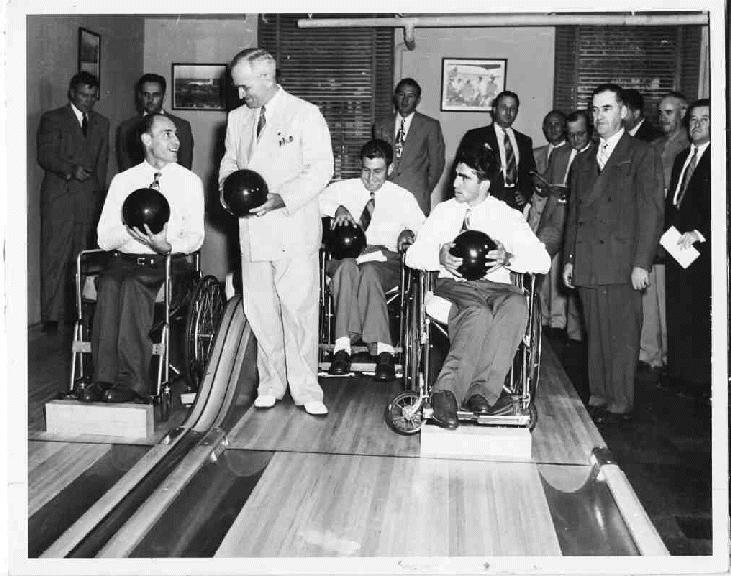 Truman4 Pictures of President Harry S. Truman with BVL winners at the Whitehouse bowling lanes.